Upon receipt of full payment for the LED Display, Shenzhen LEDSolution Technology Co.,Ltd (“LEDSOLUTION”) warrants to the original end-user that the LED Display will be free from defects in materials and workmanship for a period of three (3) years from the date of shipment for the repair or replacement of defective parts. Step 1: Determine that sign has a problem that can not be repaired on customer end. Step 2: Determine if your sign is under warranty. info@ledsolution-cor.com or contact your sales manager. Step 4: Send the defective parts to LEDSOLUTION. Step 5: LEDSOLUTION return the repaired or replaced parts to customer. 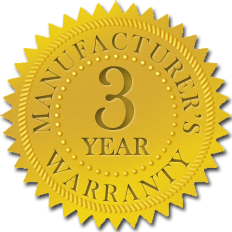 1) LEDSOLUTION’s products carry a 3-year manufacturers warranty unless otherwise specified. 2) The 3-year warranty includes all modules and cabinets, control hardware, fans and power supply units, and free update of the control software. 3) Warranty confirmation: The production batch number on the modules show whether the LED display is under 3-year warranty. 4) Within three years, LEDSOLUTION will replace or repair the defective parts so long as the failure is not otherwise excluded from coverage (View DAMAGES NOT COVERED below). 1) Damage that occurs during shipment except as otherwise agreed in writing by LEDSOLUTION. 2) Damage caused by the unauthorized adjustment, repair, or service of the LED Digital Display, including all components thereof. 3) Damage caused by an electrical power surge, electrical power failure, neglect, abuse, or misuse. 4) Damage caused by flood, fire, earthquake, wind, water, lightning, natural disaster, war, terrorism, riot, civil disturbance, or other cause beyond LEDSOLUTION’s reasonable control. 1) IF UNDER WARRANTY, customer shall pay for shipping to and from LEDSOLUTION. LEDSOLUTION will repair or replace failed parts for free. 2) IF OUT OF WARRANTY, shipping to and from the LEDSOLUTION facility and a reasonable material cost charge of the materials will be paid by the customer. 1) Upon customer request, LEDSOLUTION shall provide field services to customer for on-site installation guidance and training as well as on-site troubleshooting and LED display repair or maintenance. Field service will be charged additionally with the terms below. 2) The service rate please inquiry your project manager. 3) The number of service day counts from the date the engineer departs from the service base and ends on the date the engineer returns to the service base. 4) The round air ticket from the service base to the service city shall be borne by the Customer. 5) The local transportation, proper food and lodging shall be provided to the LEDSOLUTION’s service engineer at the Customer’s cost. 6) For installation service, LEDSOLUTION’s field service engineer shall arrive at the Customer’s city within one week upon the Customer’s notification, provided the service engineer obtains the valid travel document with the Customer’s assistance. 7) A LEDSOLUTION’s standard formed Service ticket will keep track of the service details, and will be recorded by the service engineer and signed by the Customer. 8) Once the display screen installed or repaired and/or maintained, an operation test shall be conducted for acceptance. The Customer and the LEDSOLUTION’s field service engineer shall sign on the Acceptance Confirmation that the LED display works properly.